The first event of the Hope Road Reading Club in 2019 was held in Jiading district on Jan 20. The gathering focused on the connection of culture in Shanghai and the Jiangnan area, the region south of the Yangtze River Delta. Sponsored by the Shanghai Federation of Social Science Associations and Shanghai People's Publishing House, the Hope Road Reading Club has hosted 25 cultural events in five years, exchanging ideas on hundreds of excellent books and deepening understanding of different cultures. 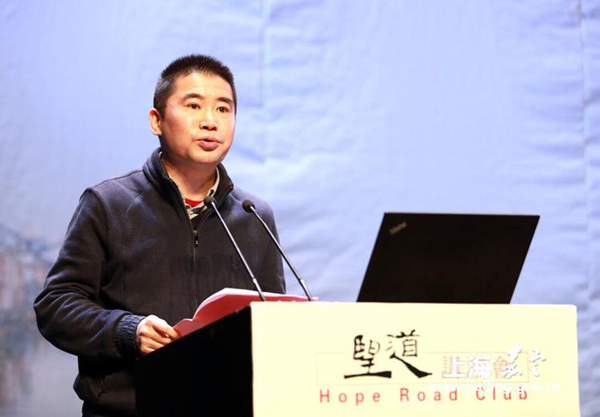 Xu Jiong, deputy director of the Shanghai Municipal Department of Publicity, attended the event and hoped that the Hope Road Reading Club as one of Shanghai's cultural brands will become a high-end academic communication platform to lead the reading demands of citizens. Hu Xiaoming, professor of East China Normal University, believed that the water is the key to making culture in the Jiangnan area different and memorable. Located in a water region, Jiangnan culture is fresh and lively and combines vigor with subtlety. "Jiading is famous for Suzhou pingtan, a kind of storytelling and ballad singing in the Suzhou dialect, which is also a cultural symbol of the Jiangnan area," said Tang Lixing, professor of Shanghai Normal University. The Hope Road Reading Club will continue to organize various events and invite more experts to dip into the history of the Jiangnan area. It will always support the development of soft power in the integration of the Yangtze River Delta region.